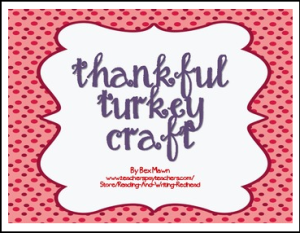 This turkey craft project uses patterns you can print onto construction paper. See the directions for more info but it also includes sentence writing. My class loved it!